Land Surveyors are professionals who measure and make precise measurements to determine the size and boundaries of a piece of property. Boundary surveying is one of the most common types of surveying related to home, landowners and commercial properties. If you live in Idaho and you need to find a land surveyor or want information about land surveying you should give us a call at (208) 850-7506. People often ask us questions about how to get a land survey, how to get their land surveyed, or how to get a boundary survey. We can provide you with the basic understanding of surveying. Wellington Land Surveying is a licensed surveyor in the state of Idaho. Our Idaho land surveying license Number is 7881. Only professionals licensed through the Idaho Board of Licensure of Professional Engineers and Professional Land Surveyors are authorized to perform land surveys in the state of Idaho. 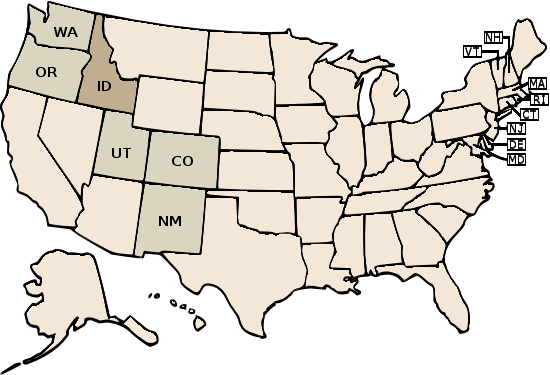 Other than Idaho, Wellington Land Surveying is licensed to provide land surveying in Colorado, New Mexico, Oregon, Utah and Washington state. For more information on how we can help you with your Idaho project please contact us give us a call at (208) 850-7506. Wellington Land Surveying is licensed to provide land surveying in these other states Colorado, Oregon, New Mexico, Utah, Washington.